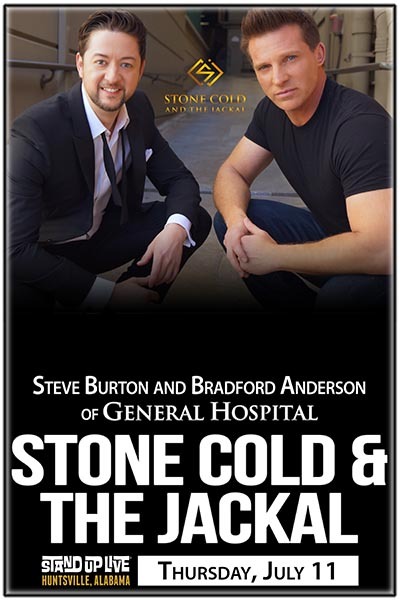 Steve Burton and Bradford Anderson play the roles of Jason Morgan and Damian Spinelli on ABC's soap opera, "General Hospital." Fans love their unique friendship onscreen, but their real-life dynamic is perhaps even more entertaining. In addition to their successful podcast, "That's Awesome," Steve and Bradford are touring all over the country to the delight of GH fans everywhere. Join them for a 90-minute show full of music, comedy and questions and answers followed by a limited VIP photo meet and greet.